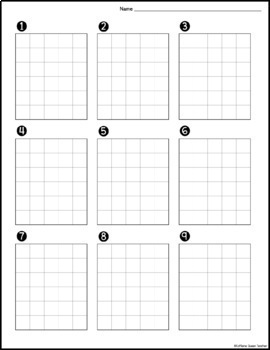 These blank student graph paper grids provide enough work space for students to work out addition, subtraction, multiplication, division, or any other type of math problems. You'll LOVE how these graph paper grids keep student work organized and neat - students will LOVE how these grids make their work feel easier. This is a basic intervention technique that can be used by at-risk, special education, strugglers, and regular education students alike! 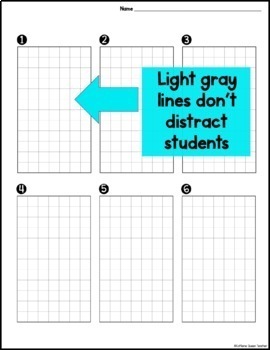 These graph paper grids work very well because the grid lines are not so dark that they distract from the math and interfere with student work. 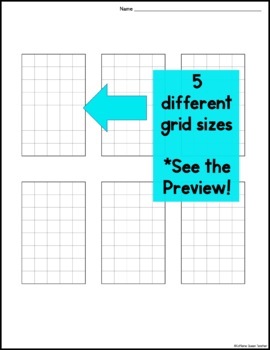 The grids are slightly different in size; choose the size that best fits your needs. 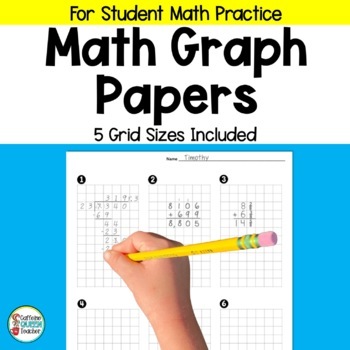 Save time and money with the HUGE GRAPH PAPER BUNDLE! Click here! Remember - proper alignment is absolutely critical to success in math! Click here to FOLLOW my store for discounts, FREEBIES, and new resources!